As you begin hacking this weekend, have you considered integrating search into your project? Likely, no, because you think that building search will take too much time. But it doesn’t have to if you use Algolia. You can now build Algolia search applications directly in React using the tools and patterns that you're already familiar with. Meet React InstantSearch, a library that provides more than 20 out-of-the-box widgets for React that enable faceting, filtering, geo-location, typo-tolerance and more. Here's an example of the type of experience that can be built with React InstantSearch. Each piece of this UI is a widget, including the search box, faceting sidebar, results and even the "Clear All' link. 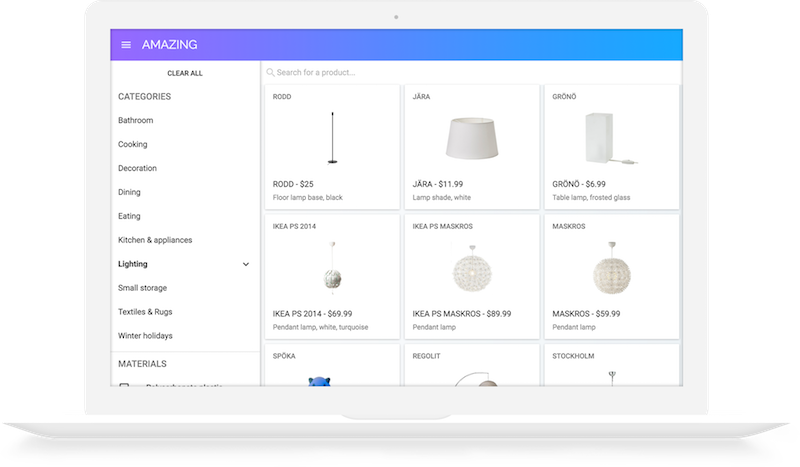 Our React library (was just upgraded to v4 and now includes the ability to query multiple indices, add an enhanced autocomplete and more) features everything you need to bootstrap your app, display results from Algolia and widgets that help you filter and refine the results. 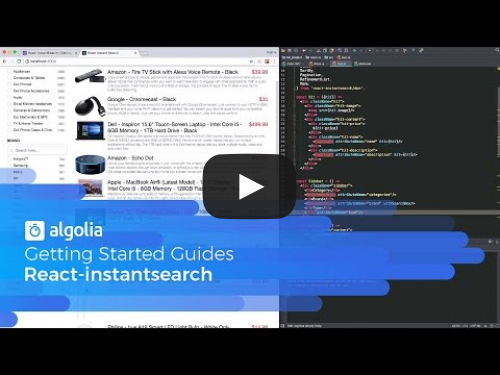 Get started with React InstantSearch, sign up for Algolia and create your account. Then, see our Getting Started Guide. Our Community Plan provides 10,000 records and up to 100,000 operations per month at no cost and gives you access to ask questions and seek help on our community forum. The team at Algolia reminds you to stay hydrated, obsess over the right details, and have a lot of fun doing it. Good luck from all of us at Algolia to this year's React Riot teams!